Sign Up For Your FREE Listingbook Account! Sign up today for your free Listingbook account and get 24/7 access to in depth detail on properties, price history, photos and more! Over 10 Years Experience Helping Home Buyers Achieve Their Dreams! 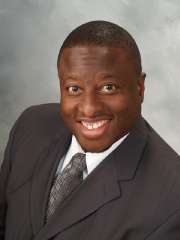 For over a decade Johnny Newman has been helping buyers realize their dream of home ownership. Whether you're buying your first home, investment property, or getting back into the real estate market, Johnny's intimate knowledge of the real estate market will make your home buying experience the best ever. Serving the entire San Fernando Valley as well as the Santa Clarita Valley communities of Valencia, Stevenson Ranch, Saugus, Newhall, Canyon Country and Castaic, Johnny knows these areas well, and can find you the right home at the right time. Find out what it takes to get qualified to purchase your first home. Click here for a free, no obligation real estate needs analysis. As a skilled pre-foreclosure specialist, Johnny has helped many distressed homeowners avoid foreclosure through a short sale. Did you know that when you sell your home through an approved short sale, YOUR LENDER PAYS ALL FEES normally associated with the sale of a home including realtor commissions, title and escrow fees, and more? There is no reason to let the bank take your home. If you are behind in your mortgage or are facing financial hardship, contact Johnny for a confidential pre-foreclosure consultation today.